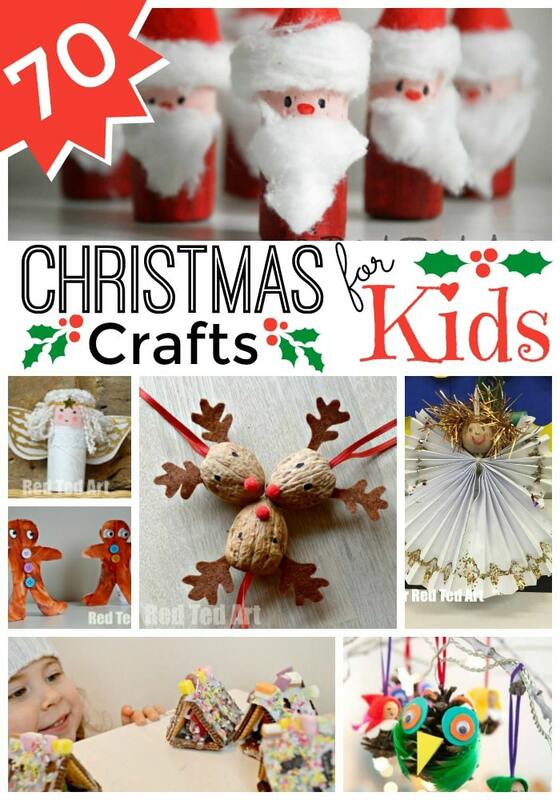 Christmas is my favourite time of year to craft with the kids (though Autumn Crafts are a close second!!!! ), I have any happy memories of dark, cozy afternoons, huddled together and making Christmas Crafts. 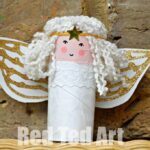 Over the years here on Red Ted Art, we have made many Easy Christmas Crafts for Kids, and it is about time, I brought them all together in one place for you. We will continue to update this post over the years, so do come back, browse and find new additions ad ideas! 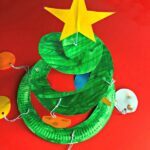 I have also created a special subsection of Christmas Crafts for Preschoolers aaaaand we have a great selection of Christmas Paper Crafts for Kids – great if you only have basic craft supplies! There are of course lots of overlaps between “kids” and “preschoolers” – and I usually find it has to do with how much adult support there is available! And we have a whole section for Christmas Gifts that kids can make! Do visit that too! Since starting the Red Ted Art YouTube channel, we have a newly refreshed loved for PAPER CRAFTS. The reason the channel has reignited our love for paper, is that we realised that so many kids that watch the channel HAVE PAPER. 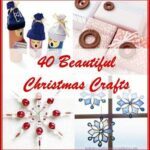 It is an inexpensive and yet versatile craft material.. and there are lots of wonderful easy Christmas Paper Crafts for Kids! Yay. Cutes of cute Paper Santa Lanterns! 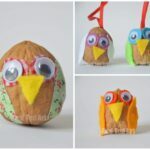 DIY Christmas Fortune Tellers – choose from Rudolph, Santa, Elf or Christmas gift! Then play a game of Christmassy truth or dare! 3D Christmas Tree Coloring Page – this is oh so wonderful elegant. Simply wow! Oh check out our OH SO POPULAR Christmas Flexagons – Paper Toys that you can colour and assemble yourself. Super fun to make. We have some super cute and simple Origami Christmas Trees here too – perfect as a little room decoration or as an addition to a Winter Village or even as DIY Christmas Ornaments! How fabulous are these Christmas Clothespin Puppets?! As you know we ADORE making Bookmarks. Bookmarks are a great classroom activity, for a cold and dark Winter’s evening at home and also make great little gifts for friends and family. Here are some of our favourite! 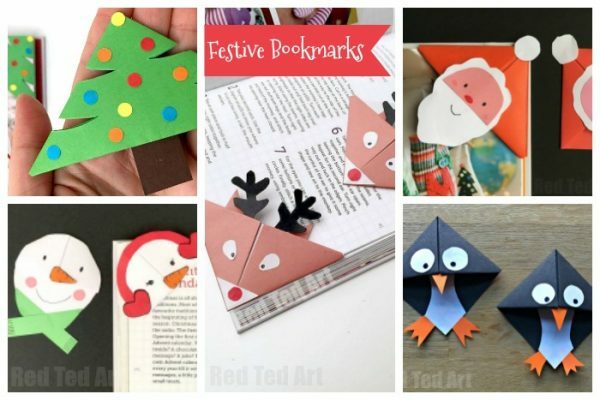 Lots more Christmas Bookmark Ideas here! I know that Christmas Cookies for kids isn’t really a craft! Ha. However, I think baking at Christmas time and involving the kids is a key part of magical Christmas memories! And there is no reason why can’t get creative in the kitchen! 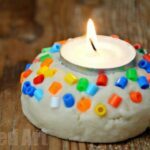 Baking definitely should be part of anyone’s easy Christmas crafts for kids! 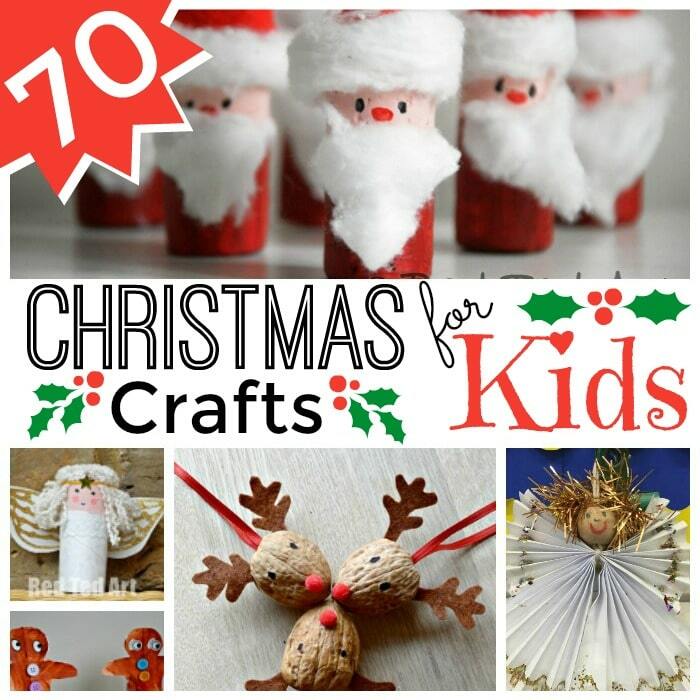 So this is our most “general” section – just plain simply: easy Christmas crafts for kids!!!! I am sure I could have grouped them (maybe into recycled Christmas crafts for kids or similar), but I thought it is good just to have a general section.. where you can fit everything in! Wonderful Winter Village Luminary set! This takes recycled crafts to a whole new level. Seriously sweet and you can add as much or little detail as you like! Easy DIY Gift Bags for awkardly shaped gifts! We LOVE making cards. Christmas Cards are a fun way to get creative, but also to put a smile on a friend’s, teacher’s or relative friends. They make great “keepsakes” for family that live further away. Check out our Christmas Cards for Kids from years gone by! More Christmas Card for Kids ideas here! 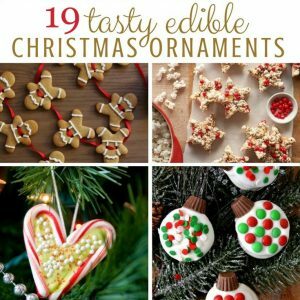 Ah yes, Christmas Ornaments – we have a HUGE post dedicated to our favourite Christmas DIY ever – the lovely Christmas Ornament. We have even put 30 of our favourites into a special Christmas Ornament Book for you! I have picked out the section that is most “generally” appropriate for “kids”.. but of course it is all relative and you may want to browse the other ideas too! And because we can’t get enough of corks, we also made ADORABLE Cork Penguin Ornaments! 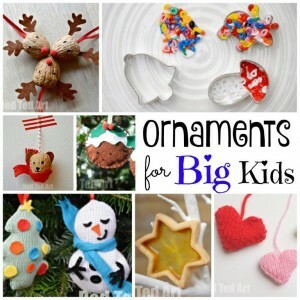 Similarly you can turn these easy Paper Baubles into Paper Snowman Ornaments. SO SWEET! They look amazing but are easier to make than you think! 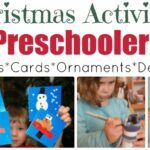 I just wanted to highlight that we have a great section dedicated to Christmas Crafts for Preschoolers – this captures the “toddler” through to preschool age group (2yrs – 5yrs). Preschoolers are at the same time a wonderful and yet tricky age group to work with – they have wonderful enthusiasm, beautiful “innocents” to their work and sometimes can get frustrated as their fine motor skills catch up with their creativity. 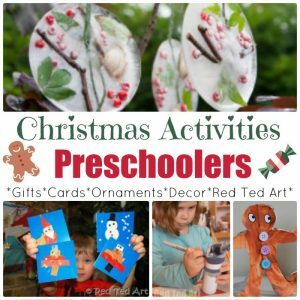 So i create a sub section of ideas JUST for preschoolers – some will overlap with the Christmas Crafts shared above, others are just for this wonderful age.. from tots, to kindergarden and preschool! 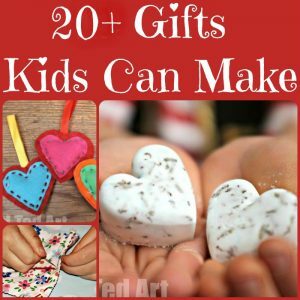 And don’t forget those Gifts Kids Can Make – nothing like a homemade gift!! 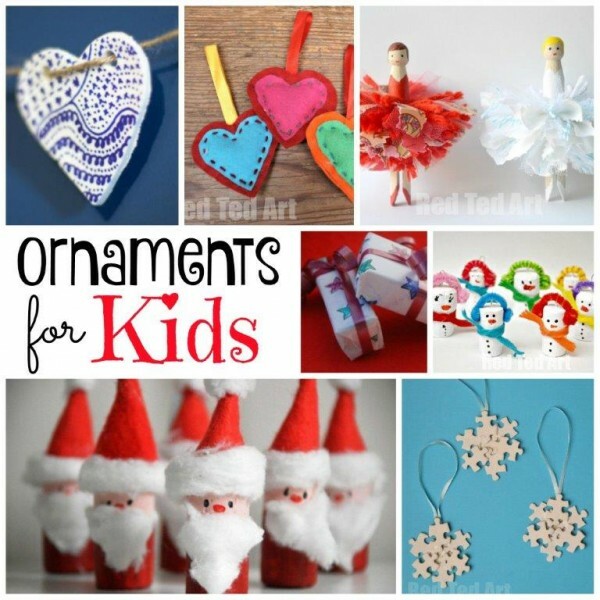 Enjoy your Easy Christmas Crafts for Kids! I love, love, love your ideas. I have used many of them for story time at the library craft time. Thanks so very much for sharing them.